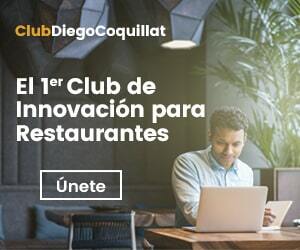 A few weeks ago I received a message through LinkedIn a professional who attended one of the many events we organize from Gastrouni in Madrid, in which I asked for a very interesting topic and, probably, is the "Achilles heel" of any hospitality business: temporary staff motivation. Because of the seasonal nature of our industry, stable set templates is complicated, so that usually we resorted to temporary workers to fill these positions based restaurant staff. The profile of this interim professional is varied, students or people who are passing by the sector, so that their motivation often leaves much to be desired as they will be with us shortly. For that reason, the sector has a big challenge in front, which it becomes an opportunity to present and future, and it's in maximize the passage of these professionals well formed, even in other areas, to find a job in the hospitality industry future. In this sense, the attitude is really very important. If the person who has entered activity is continually thinking about finding another job "his stuff" while developing their work, reconvert can be complicated and, however much do you see the good of our beloved industry, It is an effort that we could spend another professional with a better attitude. But back to the question that opened wizard with Article, Is it possible to train and motivate people in a profession that for them is a temporary dedication? Here's my answer: it's possible. And through the following three points we see how we can get. First we should make good host to the employee plan, always preceded by a suitable recruitment and selection process in which the candidate knows exactly all the conditions set. This host must incorporate internal service manuals, where clearly define the functions and operations worker derived therefrom. A training period before enter the ring will make the job incorporation of new professional is good, fast and with proper training. Making mistakes in this section involves increasing the ratio of abandonment. A cost that assume both the candidate who will, as the company invests in the incorporation insolvently. Habitually, the new additions they are interviewed in 5 minutes, they can not explain anything and we stuck to our staff people with more experience for which go drenching of the work culture. Sometimes this can be counterproductive since this employee may be It burned more than an Indian pipe, for various reasons we can know or not, and can contaminate the new addition, totally bad thing for us. This office is learned taking the bull by the horns, they say. Does this sound? Secondly it should enhance the training to encourage these new profiles JASP (young but too well prepared) that the way to work in hospitality seems anachronistic and "viejuna". Our hotel business, the company that we have created, but it should appeal not only to our customers, but also to our staff Y, especially, to potential new candidates; in the world of Human Resources This is known as employer branding. We invest the time needed to develop this aspect. It is very effective use of gamification methods that allow some competition to achieve goals (selling, Customer, Suggested retail, against absenteeism ...) who they are able to motivate these temporal profiles. By last, if we use a suitable compensation system, through a variable compensation or other systems, interest and will increase productivity This temporary employees while staying with us. As the structure of the labor market in the hospitality I do not think it changes the medium term, It is the stage in which we will touch play, so that we must assume that the event will be very high in the base staff. Definitely, This is a structural problem that we can overcome any of the points I discussed in this article. Even so, as much of the customer experience depends on these professionals who they are on the front line and that is very difficult to become "team players”, it becomes a challenge for entrepreneurs. to end, a data; one in eight Americans has worked at McDonalds throughout his career. And these gentlemen who sell burgers are specialists in making a virtue of necessity. I'm a lucky guy that life has given him much more than I expected. I teach at the University Institute for Tourism Research. I am Director of the Master in Restaurants & F&B Hospitality University of Alicante.